When parents divorce or separate tensions and emotions can lead to actions that can further divide and harm a family. One parent, may unilaterally decide to poison the other parent’s parent-child relationship for revenge, to try to drive the parent way, to deter the other parent from exercising their visitation rights, or to even force the parent to restart a relationship with the alienating parent. 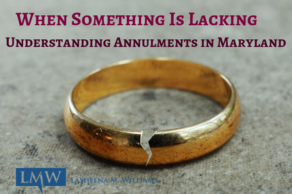 When normal hurt feelings spill over into a long-term attempt to ruin a child’s relationship with another parent this is referred to as parental alienation in Maryland. 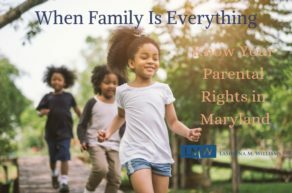 What is Parental Alienation in Montgomery County, Maryland and Prince George’s County, Maryland? Parental alienation is defined as a form of emotional child abuse where the custodial parent deliberately attempts to undermine and degrade a child’s relationship with the non-custodial parent. 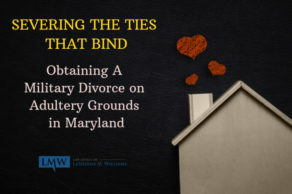 More precisely, parental alienation in Maryland involves the “programming of a child by one parent to denigrate the other, targeted parent, in an effort to undermine and interfere with the child’s relationship with that parent, and is often a sign of a parent’s inability to separate from the couple conflict and focus on the needs of the child.” As a result of the vilification of the non-custodial parent, the child may reject the targeted parent.The American Professional Society on the Abuse of Children (APSAC) treats parental alienation as a form of abuse and has gone as far, along with other members of the psychology field to identify it as an emotional disorder involving the following behaviors: a child who allies strongly with one parent, rejects a relationship and parenting time with the other parent without legitimate justification. Today, Maryland Circuit Court judge and magistrates are taking cases of parental alienation more seriously and are instituting remedies and safeguards against parental alienation in Maryland child custody orders. 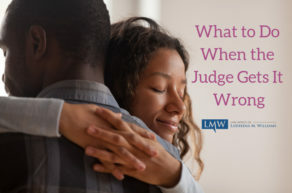 Maryland circuit court judges frown upon parents that attempt to belittle and denigrate their child’s other parent in front of the child, and proof of such acts may negatively impact the alienating parent in in a legal custody or physical custody determination. In Maryland, there is not a presumption of one parent being more capable than the other at parenting. 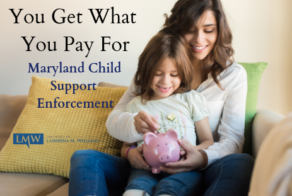 Maryland law also attempts to handle any decisions regarding custody and parenting by determining what is in the best interests of the child. Therefore, a parent who is trying to harm a child’s relationship with the other parent could be viewed as acting against the best interests of the child and could result in the court intervening to stop the conduct, or to alter the custody arrangement in place. If you do not already have a formal court order for custody or parenting time with your child, you should file a complaint to establish custody immediately. 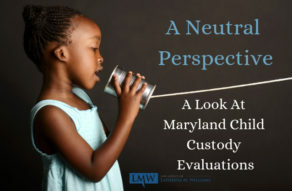 In order to preserve your parental rights, you should have a written custody order signed by a Maryland Circuit Court Judge that clearly lays out the legal and physical custody for each parent. Your order should also address parenting time, vacations, and holidays with the child. If you feel that your child is being manipulated by your ex-partner, it is important that you inform the court. Depending on the severity of the manipulation and parental alienation, you may need a custody evaluation, psychological evaluation, or an alternative solution. Above all, do not give up ony our relationship with your child. Addressing parental alienation in Maryland, may seem like an endless battle, where your ex-partner may be using the system and your child against you, but giving up on having a meaningful relationship with your child will haunt you as time goes by. Do you have concerns that your ex-partner’s behavior is harming your relationship with your kids? Do you need to put a custody or parenting time order in place, or do you have questions about your current custody arrangement? We can help. 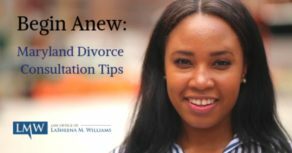 At the Law Office of LaSheena M. Williams, we understand that parental alienation in Maryland is a form of abuse and can create significant problems for children and the targeted parent. 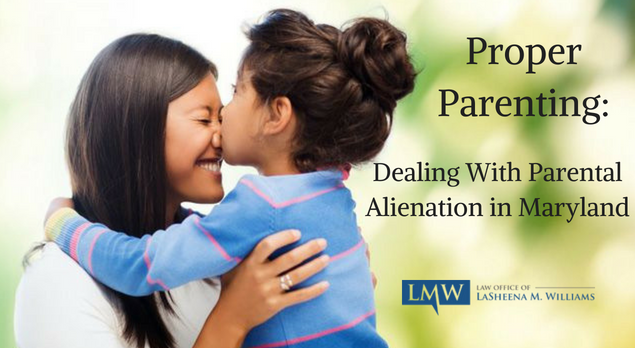 In the sensitive matters surrounding parental alienation in Maryland, the Law Office of LaSheena M. Williams is always here for you. With our experience we can help you, when you need it most. Our firm avidly represents clients throughout Rockville, Bethesda, Gaithersburg, Silver Spring, Takoma Park, Chevy Chase, College Park, Cheverly, Greenbelt, Oxon Hill, Hyattsville, Upper Marlboro, Largo, Bowie and surrounding communities. Call us today at (301) 778-9950, or send us an online request for a consultation.